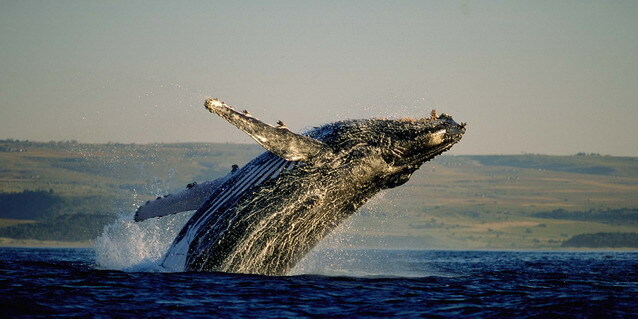 All six species of whale that occur in the southern hemisphere have been recorded off the South African coast, and three are regular visitors: the Southern right, the Humpback, and Bryde's whales. 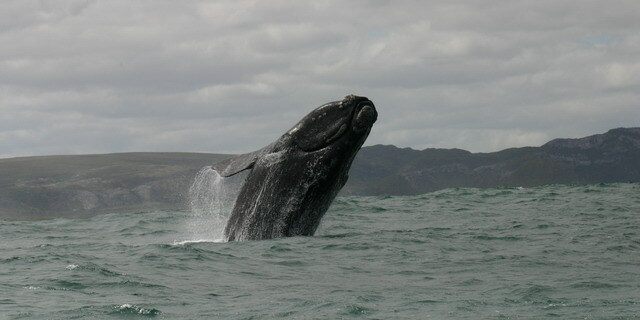 Of these, the biggest and most spectacular is the Southern right whale. These gentle giants (weighing an average 60 tons), spend six months of the year in the waters of Antarctica, feeding on planktonic copepods (tiny crustaceans) to build blubber reserves. For the six months spent breeding in the waters off South Africa's coast - June through November - they barely feed, living almost entirely off these accumulated reserves of fat. 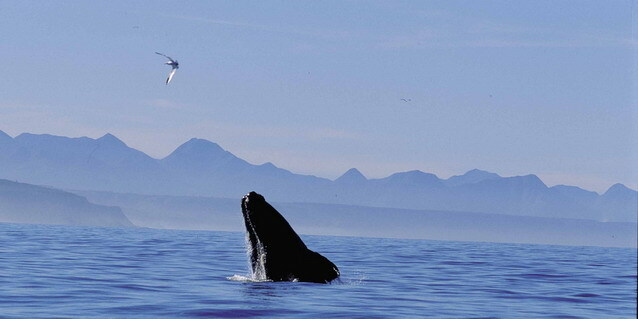 Two characteristic features of the southern Africa whale watching experience are the beauty of the setting, and accessibility. Whales frequent some of the most spectacular and unspoiled bays on the entire African coastline, which happen to be very conveniently located in close proximity to other travel highlights. Walker Bay is just 90 minutes outside Cape Town, making for an easy day trip, and offering what many consider to be the best land-based whale watching in the world. Plettenberg Bay lies at the heart of the popular "Garden Route", and is easily combined with the Tsitsikamma Forest, Klein Karoo, Knysna Lagoon, and Outeniqua Mountains.